Royalty-free stock illustration of Zeus (Jupiter), father of the ancient Greek Olympian gods. Depicted old with white hair and beard, wearing a gown and sandals, holding a thunder bolt. 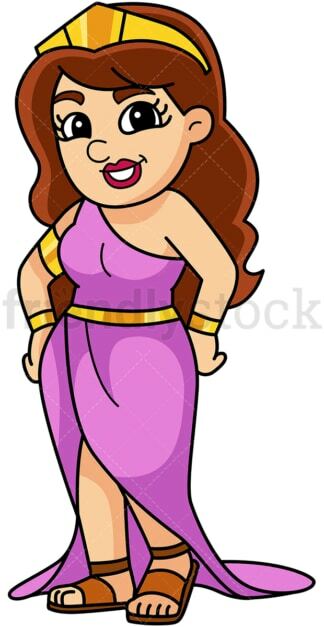 Royalty-free stock illustration of Hera (Juno), wife to Zeus and queen of the ancient Greek Olympian gods. Depicted wearing a white gown and a gold crown and waist while holding her scepter. 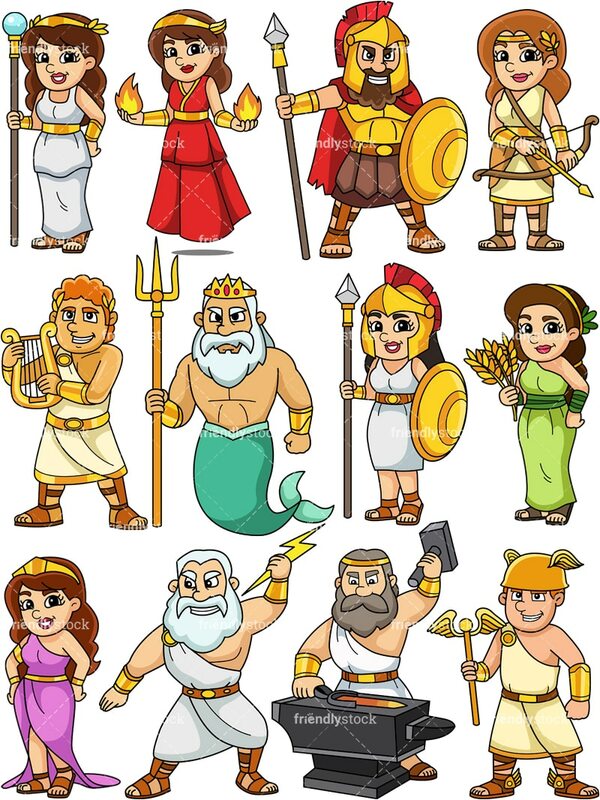 Royalty-free stock illustration of Poseidon (Neptune), one of the ancient Greek Olympian gods, ruler of the sea and ocean. Depicted wearing a gold crown and holding a trident. Royalty-free stock illustration of Demeter (Ceres), one of the ancient Greek Olympian gods. Depicted holding wheat as she is the goddess of agriculture, harvest and the four seasons. 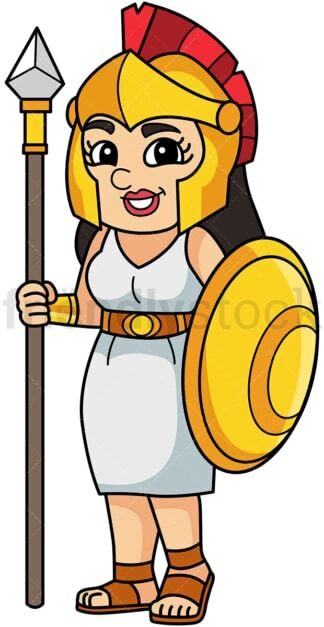 Royalty-free stock illustration of Athena, one of the ancient Greek Olympian gods. She was the goddess of war and warfare, defense, literature, science. She was also the protector of the ancient city-state of Athens. 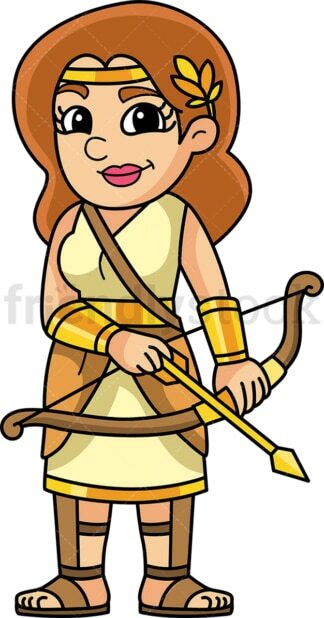 Royalty-free stock illustration of Artemis, one of the ancient Greek Olympian gods. She was the goddess of the hunt and wildlife, protector of hunters. Depicted holding a bow. 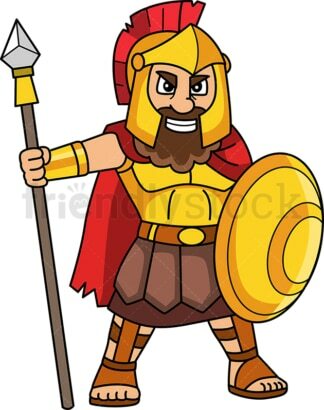 Royalty-free stock illustration of Ares (Mars), one of the ancient Greek Olympian gods. He was the god of war, battle and warfare. Depicted wearing heavy armor, holding a shield and a spear. Royalty-free stock illustration of Aphrodite (Venus), one of the ancient Greek Olympian gods. She was the goddess of beauty, love, pleasure, fertility and passion. Royalty-free stock illustration of Hephaestus, one of the ancient Greek Olympian gods. He was the god of blacksmithing, metalworking, stone masonry and metallurgy. Depicted forging a sword on his anvil. Royalty-free stock illustration of Hermes (Mercury), one of the ancient Greek Olympian gods. He was known to deliver messages on behalf of the gods. He was smart and cunning a god. Royalty-free stock illustration of Hestia, one of the ancient Greek Olympian gods. She was the goddess of fire, hearth and architecture.